Dr. Rajendra Vasant Patil, Cardiologist. 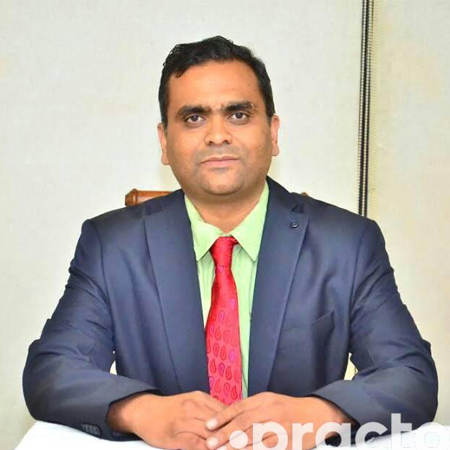 Dr. Rajendra Vasant Patil is a Cardiologist in Pune and has an experience of 10 years in this field. Dr. Rajendra Vasant Patil practices at Icon Clinic in Pimple Saudagar, Pune. He completed MBBS from Byramjee Jeejeebhoy Government Medical College & Sasson General Hospital, Pune in 1999, MD – General Medicine from Dr. Baba Saheb Ambedkar Marathwada University in 2006 and DNB (Cardiology) from Narayana Hrudayalaya Institute , Bangalore in 2010. He is a member of Fellowship of the European Society of Cardiology (FESC). Some of the services provided by the doctor are: TMT, Cardiac Ablation, Cardioversion, Cardiac Invasive Procedures and Opinion for Bypass Surgery etc.